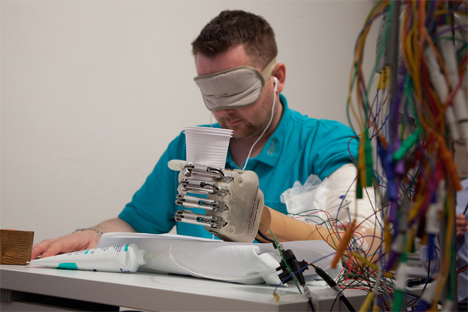 Most prosthetic hands can hold things and perhaps restore near-full functionality to the user’s limb – but most don’t restore the sense of feeling in any way. 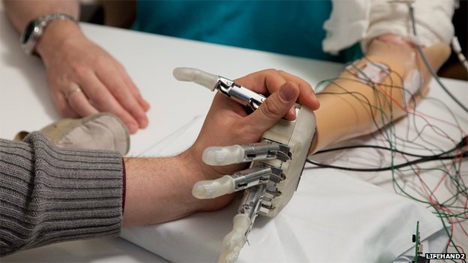 An international team of researchers has developed a prosthetic hand that can help the user feel again. The Lifehand 2 will allow amputees to regain a small amount of feeling after just a few weeks of getting used to the device. 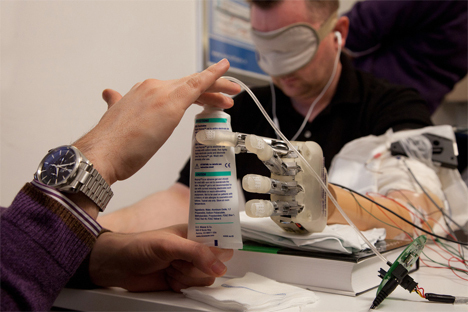 Electrodes from the Lifehand 2 are connected to nerves in the amputee’s body, which allows the amputee to control the hand through muscle movements – even if those nerves haven’t been used in years. 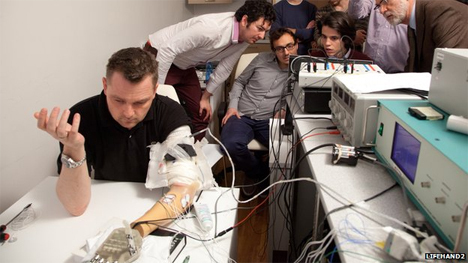 Dennis Sørensen was the first person to try out the new bionic hand, wearing it for a month. During that short time, Sørensen learned to use the hand to differentiate between three shapes and to determine the hardness of three objects. His accuracy rates in these tests were 88 percent and 78.7, respectively. Being able to tell the difference between the hardness of objects allowed Sørensen to determine how much pressure he needed to exert to hold the items. Although this first trial had to be kept short, the researchers are looking forward to future studies with even more subjects. Their hope is that the number of objects able to be “felt” by the wearers of the bionic hands will increase in future trials.